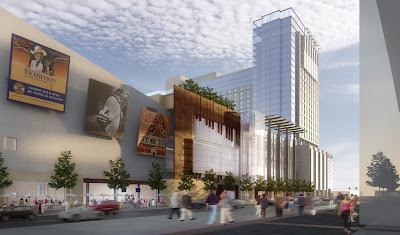 Gate Precast Company, was recently contracted to produce the precast concrete facade for the new Omni Nashville Hotel. Precast Concrete is the best line of defense in providing structures that are resistant to fire, weather and other potential threats. Precast concrete brings environmentally-friendly solutions to those prominent questions of life safety, speed of construction and long service life while allowing architects and owners to meet their aesthetic dreams. For your next project, Consider Precast ... Consider Gate.